The furthermost camp away from the gathering place, the RiverClan camp is on an island in the middle of a small shallow lake. Littered with rocks, most of the dens have been dug out of the earth and are situated beneath trees as the roots keep the dens together better. The leader's den is situated in an old hollow tree; when speaking to the Clan, the leader stands on an old round rock. During new-leaf the island is prone to flooding; when this happens the rocks littered around become safe zones for those who cannot yet swim. Opening his blue puppy eyes the blue pup lifted his head from his nest and yawned, making one of his rare sounds as he did so. Quite comfortable in his mossy nest, the pup didn't move for a while happy to listen to the clamour of camp. Hmm nice and comfy, I dont want to get up the stray thought flickered in and out of his head, snuggling down again he hid his face in the soft comfortable moss I should find some feathers to weave through it, make it more soft blinking as his belly rumbled reminding him he hadn't had breakfast yet he reluctantly sat up and shook some loose bits of moss from his fluffy puppy coat. Standing and stepping out of his nest he found his way out of the nursery and paused blinking as the sun blinded him for a few moments before he adjusted and was able to see again. He spotted a couple of members he knew, still quite a stranger to the rest of the clan, frowning as his stomach growled again more loudly this time he allowed himself to be a slave to his hunger and slunk towards the fresh kill pile. Using one of his dark blue paws to push through the fresh kill his features brightened noticeably when he found a rainbow trout his favoured prey to eat. Picking up the large fish by the tail as he was too small to lift it himself he dragged the freshly caught fish to a patch of sun where he could eat his meal without being disturbed. Happily beginning to eat he tore the meat from the bones, chewed a little then swallowed repeating the process. Burping softly when finished he pawed at the bones curiously wondering if they could be turned into a toy or something. However he soon discovered that no they were just boring and left them there for someone else to clean up, not that interested in pestering anyone the pup returned to his nest and settled down again only to remember the feathers and bound back ouut of the nursery to the fresh kill pile where he picked a bird and began pulling out its feathers determined to make his cosy nest all the more softer. "The worlds whispers are so often unheard"
"When I am silent, I have thunder hidden inside"
"People that don't understand your silence will never understand your words"
The move from the old Stormclan camp had been hard and especially trying to carry her four surviving pups. She thanked Starclan daily for their growth as they explored the new camp with ease and joy allowing her to spend some time with her beloved Forsakensoul guiding him around the new camp from the nursery to the freshkill pile and out to the dirt place so he would know where to go and the scents associated with both. She had taken to mothering well with her pups and she felt saddened as their sixth moon approached to take them from her side at night. Once that happened she would shift herself to the elders den with their father despite returning to warrior duties. She gently nudged her pups wake sending Patherpup sprawling out of the nest with a tiny thud due to his size. She chuckled softly as she ran her tongue over his head earning a groan. "Go pick out your breakfast and don't forget to clean up after yourselves before getting into trouble." she told the four as she rose to her paws. Wriggling out with fluffy white fae stretched lifting her muzzle to the sun before trotting over to the fresh kill pile. "Good morning Silentpup." she said to the small pup who was plucking a bird. "Are you well this morning?" Not expecting a verbal answer she watched the pup for his reply before selecting a vole for herself and a rabbit for Forsakensoul. She slipped back over to the warm sun patch she ate at and lay down awaiting her mate. Uncurling when his mother moved away, Frozenpup lifted his head opening his blue eyes that would darken with age. The many hued male huffed and got to his paws beating his siblings out of the den, he'd always been rebellious and even when his eyes and ears had been sealed he'd been eager to wriggle away from his mother unlike the others. Stepping out into the light he recoiled and pawed at his eyes a soft whine leaving him, it hurt, opening his eyes open a crack the familiar blue world that he was used to seeing shone through. Blinking watering eyes he adjusted to the light and wandered over to the fresh kill pile tripping over a root that to most would have been visible. However to his strange vision the roots blue had blended in with the blue of the island that they lived on. Pushing himself up he huffed and snapped his teeth at the thing that he'd tripped over, he looked for the fresh kill pile and found it by smell rather than sight. He couldn't really see the details of the prey and so when he picked something that smelled good he couldn't tell that it would make the pile collapse, tugging he yelped when he became covered in prey. Struggling out and throwing an embarrassed glance at Silentpup who was lying there with his duck watching him and he was sure the pup was laughing at him in his head. Stupid fresh kill i wasn't hungry anyways not wanting to be made a fuss of he ignored the fact that he was dirty from the prey that'd landed on him he dragged his prize determinedly back into the nursery and sat in a corner of it gnawing on it growling bad temperedly at his siblings if they tried to share in a foul mood due to his adventures. "The worst things in this world are justified with belief"
"their words are just whispers and lies that I'll never believe"
"Starclan is a Myth designed to take away our freedoms as wolves"
"We are free to follow our own path. There are those who will take that freedom from us, and too many of you gladly give it." Patherpup awoke as his belly hit the soft floor of the nursery and he groaned as he felt a tongue wash over his head. The pup rolled over and batted at the offending thing but it was long out of reach as his mother spoke about breakfast making his stomach rumble. He rolled over and went to pounce on the white tail of Moonbreeze but just missed as she disappeared out the entrance to the nursery. Clambering back into the nest he pushed his siblings out of the nest and warmth so they could go greet the day. "Move it lazy butts." he demanded as he forced his way out of the nursery. He rushed over to the fresh kill pile, nearly slamming into Silentpup but managed to stop in time. "Silentpup." he said with a nod sending his tuff of white fur on his head bobbing. Spotting Frozenpup surrounded by prey the oldest pup swiftly moved the stuff in his younger brothers way out of it so he wouldn't trip. He could see that he was in a bad mood as he dragged his food into the nursery to eat but Patherpup was determined to have his brother come out and play once they had all eaten. The sun was quickly warming his black pelt and the extra warmth was awaking his energy stockpile. He pushed his away through the prey and gave a shout of triumph as he found a silver trout. The largest of the pups grabbed it and heaved backwards until he was laying near Silentpups spot from this morning where his bones still rested. His small fangs sunk into the scales and flesh to pull free the start of his meal as he waited for his siblings to join him. Fast asleep he jerked awake when he sensed movement, the blind deaf wolf hadn't been sleeping well recently, very timid and submissive he cut a rather pathetic figure. Slipping out of the den and almost stumbling over a pup that had no name to him, he turned his head around trying to find moon by listening and smelling for her. Tripping over the same root his son had he face planted, pushing himself up he shook himself out his fur hanging off of his body limply. He didn't know what was happening, lots of wolves were missing and they'd moved camps to somewhere he was scared of, he'd nearly drowned on the crossing to the island in the middle of the lake and was perpetually scared he'd end up in the water again. He cut a pathetic creature, and one could understand others believing perhaps he'd be better off dead, eventually he found moon and sat down near her staying close. "I'm as terrifying as a pudding to a pudding lover on a strict diet"
"How lucky I am to have something that makes saying goodbye so hard"
"I have the coordination of a retarded, three legged, arthritic, half dead moose"
"a dream is something that will disappear no matter how much you wish to believe it"
Oceanpup grumbled as she slowly made her way out of the nest despite both her brothers taking off suddenly. She had been enjoying a dream of standing on a sunny river bank fishing her little heart out. Licking her muzzle she went to exit only to pause as Frozenpup reentered the nursery and she looked at the feathers and fluff covering his small blue toned body. "Are you ok Frozenpup?" she asked padding over to sit beside her brother. She ignored his meal and growls as she began to pull the clinging feathers from his fur setting them down in a neat pile. Once all the feathers were gone she moved onto the fur tuffs setting them into another pile beside the feathers as she waited for him to talk to her. Out of her siblings she felt closest to the blue male as she often pressed her small body closer to his ehile they slept to lead her warmth to the sometimes sickly pup. As per usual, he ignored everyone, apart from internally laughing his heart out when Frozenpup was attacked by the fresh kill pile. What a looser, can't even walk without tripping over his own paws he thought to himself sourly, he was so easy to figure out how he worked too. Frozenpup was rebellious and independent and yet his family couldn't seem to figure that out, he doubted that the other wolf would last in the clan very long with that attitude. Watching Forsakensoul stumble out he rested his head between his paws with a soft snort, How can he live like that? not being able to see or hear what was the point of living? Ignoring Pantherpup completely finding the other pup obnoxious and arrogant he refused to move out of the way for him and instead swiped his tongue over his muzzle continuing to watch the camp in his strange silent way. It was better to listen to the world than to fill it with more mindless chatter, there was enough of that as it was, deciding he was too close to others he left his patch of sun and vanished into the shadows lying down in the cool darkness going back to watching as if he was cataloging the events that went on in camp. Moonbreeze stood to go rescue her blue pup as he tripped over the root but she sat back down watching him carefully as he continued on with relative ease to the fresh kill pile. The white queen relaxed as she watched Patherpup reached the pile just before it fell around Frozenpup and she whined softly as she fought to not mother her rebellious fourth born. He never took well to it but she noticed that Oceanpup had yet to emerge as he re-entered the nursery with his prize. Thankfully it was without any issues due to Patherpup clearing the prey from his path and it allowed the female to relax some as she watched her oldest pup start to eat a silver trout with eagerness. Spotting her mate exiting the nursery she locked her eyes on his frail looking form and made a note to see if there was anyway to increase his appetite so his fur no longer hung from his body. A whine escaped her as she jumped to her paws feeling helpless as Forsakensoul tripped over the same root that had gotten Frozenpup. She held still as she waited for him to find her knowing that she might confuse him as he learnt to find his way around the camp on his own. Once he was by her side she immediately run her tongue over his muzzle before cleaning the rest of the dirt from his face. Once it was all gone she gently guided one of his paws to rest on the rabbit she had selected for him so he knew where it was. He was happy with his food until his sister showed up, glaring at her through angry yellow eyes as she got close to him as soon as she touched him he turned and violently pushed her away from him "Don't mother me! I don't need your help and I dont want it!" part of his push to be independant and rebelious to the system was the fact that his eyes put him at a disadvantage. He didn't want to be useless like their father, taking his prey he dragged it out of the nursery and away from his entire family the silver and blue pup disliking feeling like he had no say, no will of his own no desire to be who he was. Didn't they get it? He loved them so much and felt such a burning loyalty to them and yet it felt like they didn't care to understand who he was. Why were there so many stupid rules? Why did they have to follow a stupid code that hardly made sense, believing in some stupid white dots in the sky it was ridiculous. Normally he was kind and benevolent but wound up over the root, the fresh kill pile and having his own personal rights infringed he was grumpy. Once he'd finished his prey he decided it was time to go his own way for a while, slipping out of camp he followed the worn path down to the water of the lake where their island was and waded into the water amazed at how blue it was, it was hard to tell the difference between the blue of the water and the blue of the sky but to him everything was indeed blue. Happy to be doing his own thing he splashed in the water, very much preferring to do things on his own terms. The RiverClan leader was awoken by the sunlight that entered her den, falling upon her face. She let out a yawn, slowly blinking open her eyes. Morning already? Graystar hadn't gotten much sleep, as she had decided to take the sunset patrol and had returned back to camp late. On top of that, she was still weak from having recently lost a life. 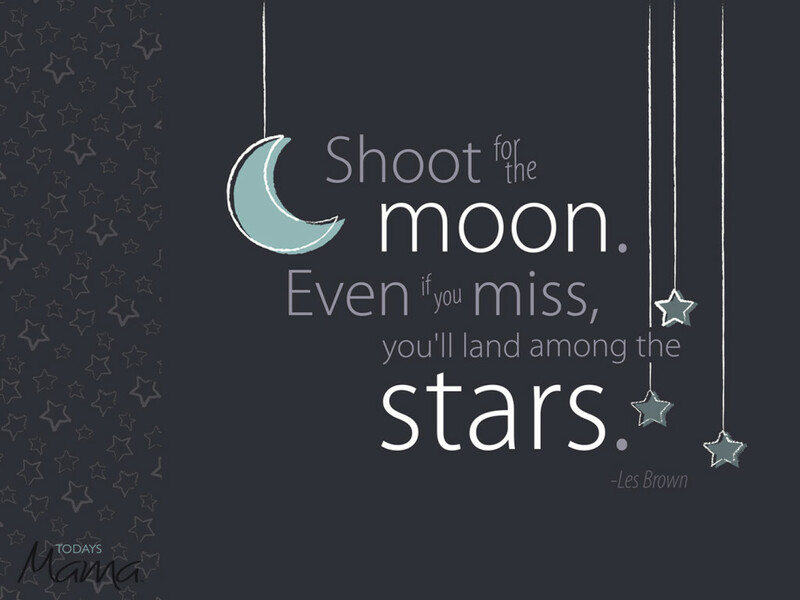 Or two, rather. The first had been due to Greencough. It was a strange experience, losing a life. She had seen a starry outline of herself alongside a StarClan warrior, who told her what was happening. The second life she had lost by losing her balance climbing down to Tempest's Cavern. She hadn't fully recovered from the loss of her first life when she attempted to go hunting there; in hindsight, Graystar figured that she should have rested more. Perhaps even now she was overworking herself, but RiverClan was her first priority and she wouldn't let anything hold her back from her Clan duties. She got up to her paws, stretching and giving her pelt a quick shake before she exited the hollow tree that made up the leader's den. She noticed that a few wolves were already up; Moonbreeze's pups were scampering about as well. Graystar settled down just outside of her own den. Although hungry, she wanted to wait for most of her Clanmates to eat before she did. Perhaps she would send out a hunting patrol if the fresh-kill pile ran low. I could lead the patrol, or maybe Stormblade. She smiled softly to herself as she thought of the Irish Wolfhound who'd become one of her closest friends. Perhaps she regarded him as even more, but she'd never told him directly. There aren't too many warriors in the Clan, so if I send out a hunting patrol, I may have to forgo the dawn patrol, she thought. It had been awhile since she'd planned out patrols herself, usually having let either of StormClan's deputies take care of that. Still, the patrols needed to be planned, and she was best suited for the task. Twistedfoot yawned as she looked over her stores, making note of which herbs she was low on. Looks like I'm going to need some marigold. Better get some more comfrey while I'm at it. Most of the other herbs were in what she would consider "okay" stock. She'd probably head out again in a couple of days to gather some of those. Satisfied that she knew which herbs the Clan was low on, Twistedfoot made her way to the den entrance. She blinked, adjusting to the sunlight. Her amber eyes glanced about the camp. It seemed so... empty. She had been born into StormClan and was used to being around a lot of wolves, but the Clan's size had been about halved when it split back to RiverClan and ShadowClan. She was still getting used to the fact that she was a member of RiverClan, not StormClan. It felt rather strange to her. Her father had been born into RiverClan, but Twistedfoot herself never thought she'd live to see the day when RiverClan reformed. How quickly had it happened. 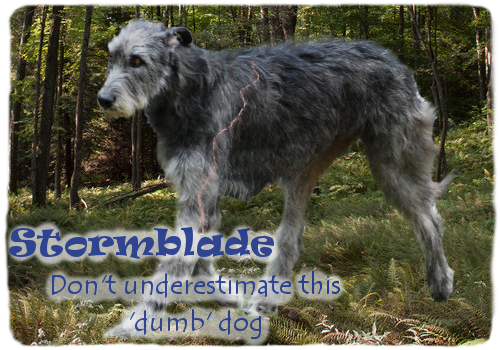 I suppose StormClan was doomed from the start. It was inevitable it would fall apart; I just thought it would last several more seasons. She was about to start towards the fresh-kill pile when she noticed Frozenpup trip over a root. The pup had later caused the fresh-kill pile to collapse. She had figured out earlier that the pup probably had problems with his vision, but also knew that there was nothing she could do about it. Injuries to the eyes could sometimes be treated, but she had never seen anyone treat a problem that existed from birth. She figured that she'd need to check on Frozenpup later on in the day, as he was somewhat sickly. For now, Twistedfoot continued towards the fresh-kill pile, re-stacking the fallen pieces of prey and selecting a squirrel for herself. She made her way back to her den and began to eat. The medicine wolves' den was completely empty, save for her, the herbs and the nests. She wasn't used to that; before StormClan's split, she had only been on her own between the short time her old apprentice Lightpaw went missing and Ivyshade became her new apprentice. Speaking of Ivyshade, she hoped that her former apprentice was faring well now that she was a full medicine wolf with a Clan of her own to care for. Twistedfoot took another bite out of the squirrel as she switched her train of thought, now thinking about which places would be the best to find marigold and comfrey. Splashing in the water a wheezy cough racked his form awww not again! the sour thought sounded in his mind, how could he be a warrior when his chest made wheezy noises every time he breathed. He was sick of all the yucky herbs he had to eat and the fact that he couldn't keep up with his brothers and sisters in play. 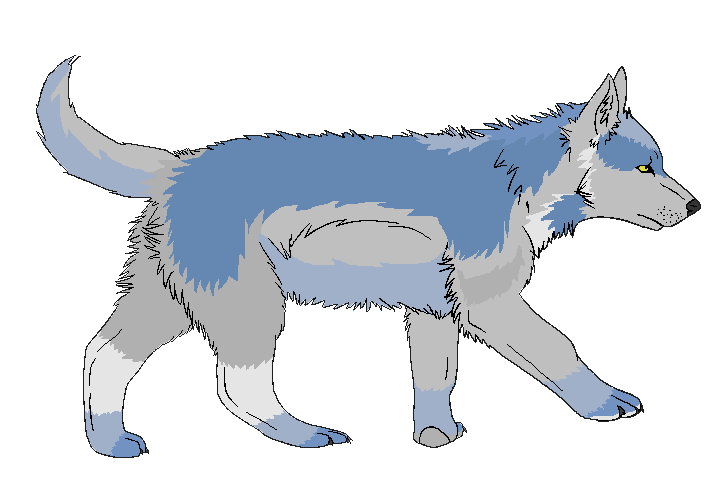 Shivering he waded out of the water and shook his fur out coughing again, coughing until he was left gasping for air the blue and silver pup winced, his throat was all ripped up from constantly being sick. Straining to see around his blue world Frozenpup returned to camp as usual stumbling a fair bit over details on the ground he couldn't distinguish. Trying not to cough because he didn't want to have more herbs forced down his gullet he returned to the nursery and curled up in the nest feeling rather hot and bothered. Not really wanting to be fussed over the very independent pup who loved his family closed his puppy blue eyes and curled up tighter wheezing in his chest every breath he inhaled and exhaled. Whimpering softly in pain he thrust his muzzle into the soft moss that made up his nest and tried not to make any more noise. 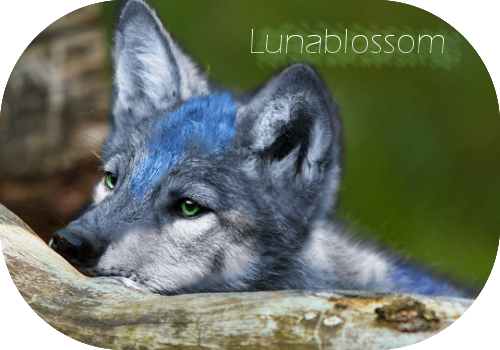 Lunapup blinked open her eyes as she felt someone nudge her awake, quickly recognizing that it was her mother. She let out a yawn and blinked her eyes a few more times, still a feeling a bit groggy. She nodded somewhat idly when her mother told them all to pick out some prey, but it wasn't until Pantherpup pushed her out of the nest did she fully wake up. "Oh, it's morning!" she yipped with delight. Now that it was daytime, she would get to play games with her siblings. She bounded out of the nursery after Frozenpup and Pantherpup, skidding to a stop to avoid crashing into some pieces of prey that scattered about after Frozenpup dislodged them. She quickly selected a fish and began to drag it towards Pantherpup's spot, but stopped short when she heard the sound of him chewing on a trout. Letting out a whimper, she moved backwards until she could no longer hear the sound and began to eat her own meal. Lunapup was quite sensitive to certain sounds. She didn't know why, but they bothered her and made her feel very uncomfortable, so she tried to avoid those particular sounds at all costs. The warrior had woken up rather early that day but had chosen to remain in his nest, not seeing a need to get out before dawn. Now, as the sun steadily rose in the sky, he debated whether or not he should finally get up. I guess I could go to the river later. Maybe the beach. Could get some fishing in before I head back to camp. He stood up and brushed some moss off of his white fur before exiting into the clearing. 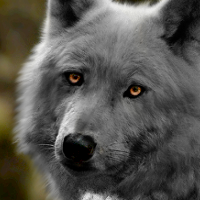 He sat down just outside of the warriors' den, his icy blue gaze watching the others in the Clan as they moved about. Iceflood was quite happy to be a part of RiverClan, the RiverClan, the one he'd heard stories of from his father when he was just a pup. If only Snowstorm and the rest of his family were here, though. He missed them often, although he never let it show. No, Iceflood wouldn't think about expressing his emotions publicly. Deciding not to think about his family, for it would only sadden him, Iceflood glanced at the camp exit, debating whether he should leave now or not. With so few warriors in the Clan, he was often assigned to patrols. I suppose I should wait, he finally decided. 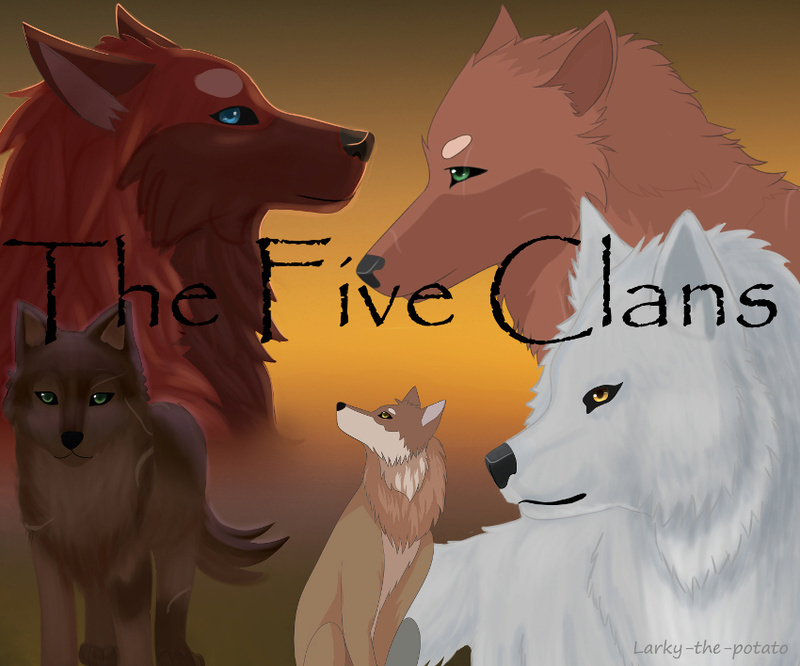 Avatar Credit to Kati H.
It was sunhigh by the time the dog returned to the clan camp, the choice to remain with Riverclan instead of Shadowclan when Stormclan had spoke had been extremely easy for him. He had a strong sense of loyalty to Graystar and so had stayed with her, she needed lots of support, she was a good kind leader but she couldn't lead the clan without a good support system. The scruffy wolfhound padded through the entrance to the camp several fish stuffed into his large jaws, holding them as best he could he dropped them onto the fresh kill pile. Spying Graystar he dropped his head and gently picked up a fat salmon, lifting his head again the grey hued dog turned and padded over to her and set the fish down infront of her "good afternoon Graystar" he greeted her in his usual warm jovial manner and moved to sit down opposite her, he wasn't quite sure what else to say and so instead licked his nose and glanced over at the pups who were venturing out of the nursery. His gaze softened watching the puppies, he'd like to have pups with someone one day, they were such wonderful small things and awfully cute. Watching as they returned to the nursery his features became a little worried at the state of Frozenpup as he returned to the camp and headed for the nursery. The apprentice was currently by the edge of the island, his blue-and-green gaze fixed on the water, or at least where he figured the water began. He had decided to join RiverClan. The choice hadn't been too hard, for he disliked ShadowClan based on the stories he'd heard about him. He found it hard to believe that he himself was half ShadowClan. Still, deciding upon RiverClan came with its own problems—he was horrible at swimming. He shuddered as he thought back to his first Gathering and how he'd plunged into the water that surrounded the Four Falls. He could have drowned. Swimming itself wasn't the problem, but rather knowing just where he should swim to make it to the other side. He shuddered again as he thought about someday drowning because he had no idea where he was going. So he had decided to practice. I can swim out a little bit, then turn back to the camp island. It seemed straightforward enough. Someone leaving the camp would probably see him and come to his rescue if need be. He was about to step paw into the water when he heard some splashing, soon followed by a fit of coughs. He blinked in alarm, hoping that another wolf wasn't drowning. However, soon enough he heard pawsteps leading away. Lifting his muzzle, he recognized Frozenpup's scent; it appeared that the pup had headed back to camp. Hopefully he would be okay; Flamepaw was glad that the Clan had a medicine wolf should anything go wrong. He couldn't hear any more coughing, even in the distance, so hopefully it meant that Frozenpup was now better. Returning his focus to the task at hand, Flamepaw waded forward in the water, beginning to swim when the water was deep enough. Luckily the lake was shallow, but that still didn't stop Flamepaw from worrying. Oceanpup sighed at her brothers words and let him go wriggling out of the nursery to go select her breakfast. Seeing a half plucked duck she sniffed at it and then turned her attention to Silentpup having caught his scent on it. Her small fangs gripped its neck and dragged it over to where the seemingly mute pup lay. "You eating this or just after its feathers?" she asked him in a polite voice, "I don't want to take it if you want it to eat it." She tilted her small head as she looked at him with bright shining eyes. He'd brought the feathers he'd plucked from the bird with them and had tucked them underneath one of his paws when he'd moved into the shadows. Quite comfortable there he observed Frozenpup returning and looking distinctly unwell he wrinkled his nose a little Gross, he'll get everyone else sick, he should be in the medicine den not the nursery scratching his muzzle with a front paw he'd settled back down again when Flamepaw slipped out of camp and just after he left Stormblade returned with a mouthful of fish. A slight sneer briefly flickered onto his muzzle How much longer will they dither around with each other before actually making a move, im surprised she hasn't made him Deputy. His happy observing the clans goings on was interrupted when one of Moonbreeze and Forsakensouls pups wandered up dragging the half plucked bird, sending her a dark look when she began nattering he got up and picked up his chosen feathers completely ignoring her he walked away from her and back into the nursery. Returning to his small nest he weaved the feathers through it rather fussy until he had it just right, pushing the nest away from the nest that belonged to the others he patted it with a paw and nodded. It was much softer now, nosing the moss he left the nest hidden in the depths of the nursery and padded back out walking to the opposite side of camp he'd been on before and lay down in the shade there resting his chin on one of his paws observing the goings on of the clan like he liked to. Twistedfoot finished up her meal and stood back up. She could hear more voices outside her den and figured that most of the Clan was now awake. I'll go check on Frozenpup before I go out to collect herbs. Hopefully the pup wasn't feeling sick at the moment. The medicine wolf exited her den and crossed the clearing to the nursery. Through moons of practice, her limp was now hardly noticeable, only becoming apparent whenever she injured her twisted paw. The dark gray wolf poked her head into the nursery, where she found Frozenpup in his nest. She could hear him wheezing and he looked to be in pain. Frozenpup's fur was also a bit wet, and she wondered if he'd been out by the lake. She sighed, but thought it better not to chastise him at this time. "Is your breathing troubling you again?" she asked, before adding, "Stay right here." She quickly headed back to her den where she made a poultice of coltsfoot and juniper berries to help with Frozenpup's breathing. She placed the poultice in a beech leaf, and carried it back to the nursery, setting it down in front of Frozenpup. "Eat this. It shouldn't taste too bad," she said.